Nothing takes me back to the hot summer days of my childhood like sitting in the garden while eating ice-cream, a good sundae with toppings or a halo-halo. Guilty pleasures that are difficult to resist! And on hot nostalgic days, “Razon’s” Halo-Halo is always on my yumminess list. But Razon’s isn’t just about Halo-Halo. “Razon’s Halo-Halo & Pancit Luglug” started in the small town of Guagua in Pampanga way back in 1972. My ancestors come from Pampanga as well… Apalit to be exact. And we all know for a fact that Kapampangans are known for their superb cooking skills. 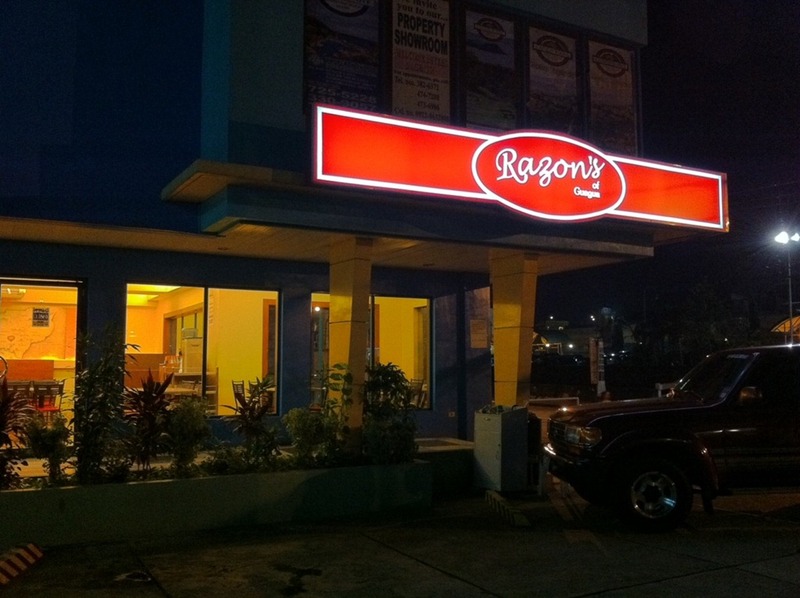 The “Razon’s” branch that we currently visit every now and then is located along Club Filipino Ave., Greenhills. Their delicious childhood-memory-inducing halo-halo contains sun-ripened saba (banana), shredded macapuno (buko), and milk, topped with creamy leche flan slices (sans the colorful beans) and is served in a tall plastic glass with shaved ice for Php90.00! Fantastic! 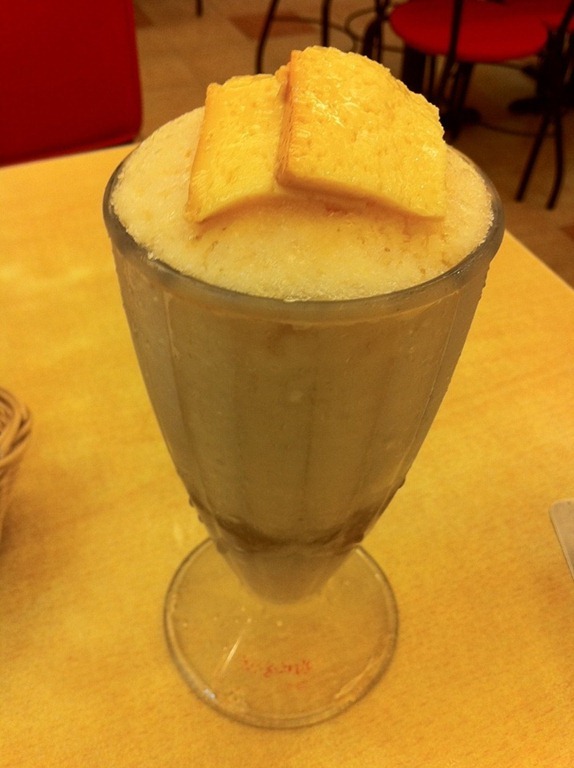 Perhaps the most plain halo-halo of its kind… and yet, it is surprisingly one of the tastiest! Razon’s is well-known for their Pansit Luglug also. Another recently discovered favorite is Razon’s hamburger with fries and a drink at Php105.00. Just like their halo-halo, Razon’s hamburgers are presented in a no-fuss manner. No fancy trimmings as well… not even cheese. But it is one of the better home-made burgers I’ve ever tasted! The beef is flavorful as it is. It actually reminds me of the burgers my grandmother used to whip-up and serve me. Perhaps, this family operated business banks not on flair but on their popular home-style taste which brings back warm, wonderful memories of our younger years. Try their bestsellers also: Dinuguan (Php90.00) with Puto (Php120.00), and Pansit Luglug (Php90.00-Single or Php135.00-Pansit Plus which is a bit bigger). Whether you’re coming in for a quick snack or looking for something uniquely simple, Razon’s is a must try! Now im craving for pancit Luglug.